VICTOR, Iowa (CNS) — Verabeth Bricker entered motherhood in 1949 without a clue that she’d still be changing diapers 67 years later. The third of her six children, David, 63, has a developmental disability and requires hands-on care and patience. As Verabeth, 89, stands in David’s bedroom looking toward a row of shelves with disposable diapers, her biggest concern is that the brand of diapers she once purchased is no longer available. She’s long past the stage of asking God, “Why me?” The thought did cross her mind when her youngest child, Kris, also was born with a significant developmental disability (he died in 2008 at age 48) and when her only daughter, Denise, was diagnosed with a learning disability. But for years, Verabeth, who is Catholic, has focused on mothering David and Kris (until his death) with the help of Denise and Anna Upah, a home health worker and guardian angel in the Bricker household. Upah arrived not long after Verabeth’s husband, Dean, died in 2002. On a recent cool, overcast afternoon Bricker, David, Denise and Upah get into two separate golf carts — David has been taught how to operate his own — and trek to the family’s retreat a quarter-mile down the road. The retreat includes a partially enclosed aluminum shelter set on a concrete pad and is a rallying point for family get-togethers. “We have a lot of outings out here,” Verabeth says. David loves the retreat and takes great joy in driving his golf cart back and forth, hours at a time in good weather. Back at the house, Anna demonstrates what David will do next when he returns to his bedroom filled with stuffed animals. She picks up a toy tractor in one hand, tucks a well-worn teddy bear under the other arm and wraps a curved stuffed animal around her neck. These were Kris’ toys. David enters the room and does exactly what Anna predicted. The “moms” know David’s habits in their sleep. They follow rules and procedures that David established as a way to cope with life. 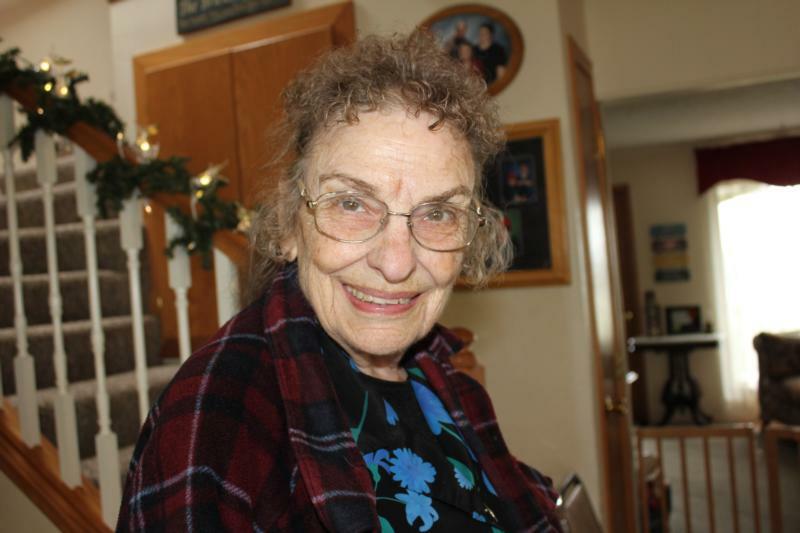 Verabeth’s coping skills include playing the organ at St. Patrick Catholic Church in Marengo (for the past 75 years) and at St. Bridget Catholic Church in Victor for the past 20 years. A piano and organ sit side by side in her house of many rooms, added on over the past 68 years. “When I’m down, I just pound the keys. I really like ‘Bridge Over Troubled Water,” she says. 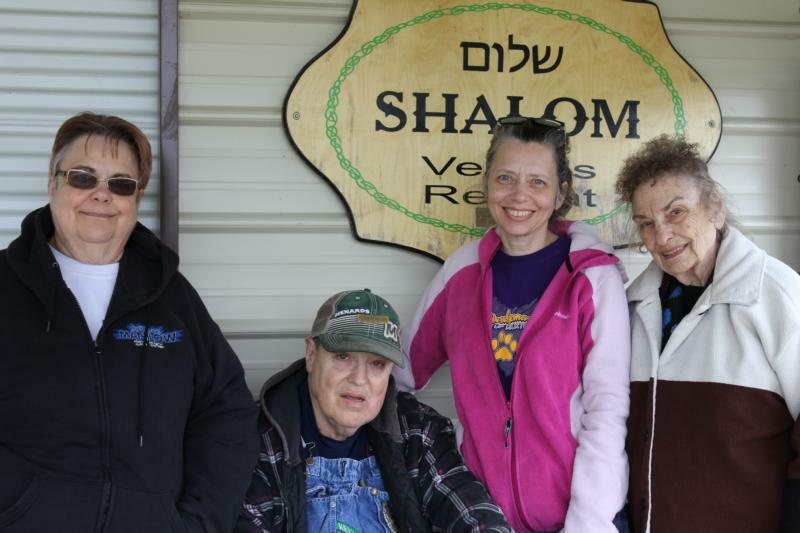 She sees a spiritual director monthly at Prairiewoods Franciscan Spirituality Center in Hiawatha, Iowa, taking Denise and David with her in a second-hand recreational vehicle that has many miles and years on it. Verabeth, a retired nurse who earned her master’s degree in 1994, also is a voracious reader of spiritual books, magazines, newspapers and devotions. They sustain her sense of hope. Mothering can be exhausting, but the three moms wouldn’t give it up for the world. “I am immersed in this family. I take care of all of them,” says Upah, who is married and has two grown children of her own. That love is reciprocated. During Lent, Upah decided that instead of giving up something she would recognize someone important in her life. That “someone” is the Bricker family. “So many times I’d come here thinking, ‘I’m at the end of my rope and they’d listen. It’s not just been about their family. There have been a lot of tears shed at that table,” Anna says, nodding toward the dining room table. Kurt, the fifth of Verabeth and Dean’s six children, admires his mother for her perseverance and her faith. “I know it was tough on her and Dad. It was kind of tough on me growing up because it seemed like all the attention was put on Dave and Denise and Kris,” he says. Years ago, when David was still a child, a doctor recommended that Verabeth consider sending him to a residential institution. She visited the place and observed children lined up, getting their heads washed. It reminded her of an assembly line. What a mom! What a hero!